More Info: Hey guys, Niko here, the owner of BetOnIt.org. I'm a big sports fan who enjoys wagering on a wide variety of sports and competitions. I find that if you do your research you can gain an edge on the sportsbooks in some of the lesser bet on markets. The Kentucky Derby may take place in Louisville, Kentucky, but it captures the imagination of Americans across the country. Each year, the Kentucky Derby gets the second most betting action …. 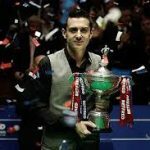 The best snooker players in the world will head to Sheffield, England, for the 2019 World Snooker Championship taking place from April 20th to May 6th at Crucible Theater. Mark …. 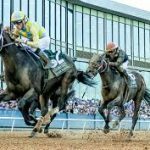 This Saturday, Oaklawn Park Race Track in Hot Springs, Arkansas will showcase some horses who could battle it out at Churchill Downs next month, in one of the final tune-up …. It’s Masters week! The biggest golf tournament of the year takes place this Thursday to Sunday in Augusta, Georgia. All of the top players in the world are ready to …. And then there were four. 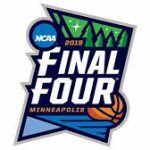 The 2019 Final Four match-ups are set. Virginia is the final #1 seed in the tournament and they will be taking on #5 seeded Auburn. …. The Grand National takes place Saturday, April 6th, at Aintree Racecourse in Liverpool, England. The famous steeplechase race is one of the most bet on horse races worldwide each year. …. 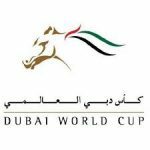 The Dubai World Cup regains it’s title as the “richest horse race in the world” thanks to the Pegasus World Cup reducing the purse of it’s big race to $9 …. The unofficial fifth major of the PGA season takes place this week at TPC Sawgrass golf course in Ponte Vedra Beach, Florida. The Players Championship brings out all of the …. March Madness is here. Some Conference Tournaments are taking place this weekend, while others are set to occur next weekend leading in to Selection Sunday. The following weekend is when …. The Indian Premier League (official website) will be getting underway on March 23rd this year. Once again, some of the best cricket players in the world will head to India ….